Cooking Hacks will be once again at Maker Faire Bilbao, on the weekend of November 20-22. Yes, the whole weekend, this year Bilbao says goodbye to the "mini" and takes the next step to become a full Maker Faire, with more than 100 projects in display. We will be promoting the recently launched IoT Spartans Challenge, an educational program by Libelium to identify, promote and give public recognition to the best future IoT developers. This program offers specialized training and a contest to rank and reward the most promising developers, including prizes for the top three developers and the top educational institution. You will also find in our booth some of our kits for developers and students, covering wireless technologies like LoRa(868/900), 3G, GPRS, GPS, XBee and the new Sigfox 868 Extreme Range Connectivity Kit. 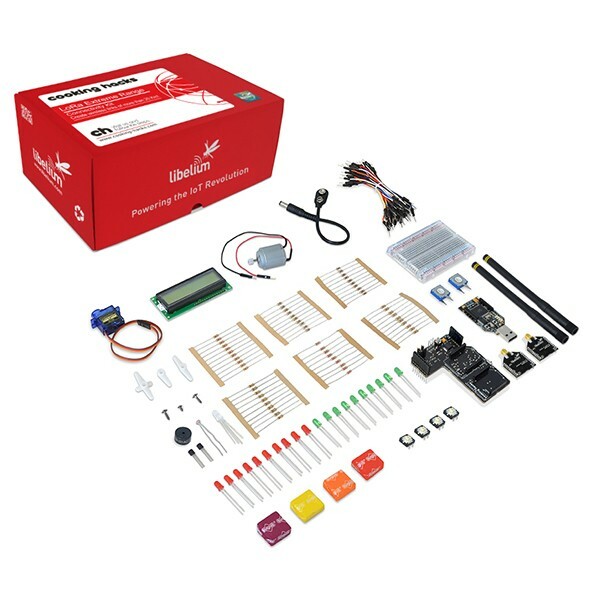 All this kits come with basic components like resistors and LEDs, sensors (LDR and Temperature), an LCD display, a servo and a micro motor. Take a look at the tutorials to see an example of what you can achieve with them. Maker Faire Bilbao will take place at Antigua Fábrica de Galletas de Bilbao (Old Cookie Factory!) in Zorrozaurre. Check a map here.